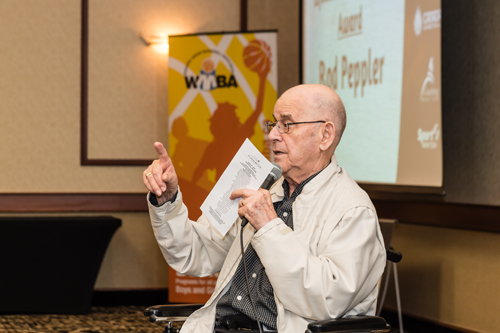 The Manitoba Association of Basketball Officials are pleased to share the news of the recent recognition of one of its longtime members. Rod Peppler was acknowledged by Basketball Manitoba and the entire basketball community with the presentation of the annual Mike Spack Award. The Mike Spack award is seen as a "lifetime achievement award" that acknowledges significant contributions to the basketball community over a sustained period of time. 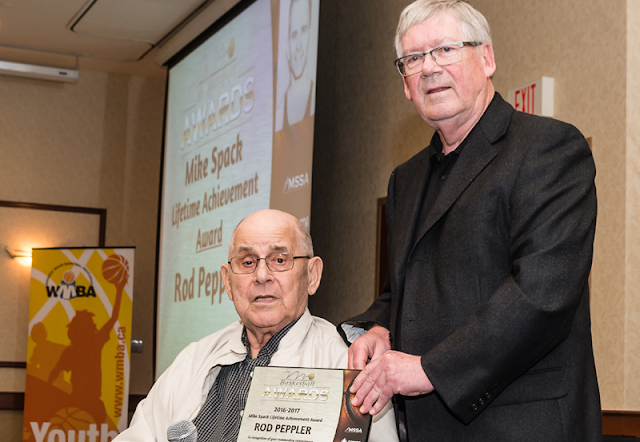 Rod was on hand at the presentation of the award at the recent Basketball Manitoba Awards banquet on Saturday, April 15, 2017. Joining Rod was MABO member Wes Crymble (pictured above to the right of Rod) who spoke about Rod's contributions to the sport over the many decades of his involvement at a variety of different levels. Rod has recently stepped away from the sport after nearly 60 active years in seeing its development. 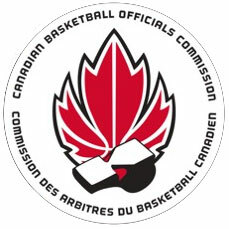 He was inducted as a builder into the Manitoba Basketball Hall of Fame in 2005 and was named the Sport Manitoba Volunteer of the Year in 2009. You can view all the past recipients of the Mike Spack Award here. You can view the entire awards presentation on the Basketball Manitoba YouTube page. The presentation to Rod occurs in the 1 hour 39 minute range. Congratulations Rod on this well deserved recognition!